Travel PR News | Reviews Are In for the First Annual Golf Kitchen Punta Mita – And They Are Fabulous! Reviews Are In for the First Annual Golf Kitchen Punta Mita – And They Are Fabulous! 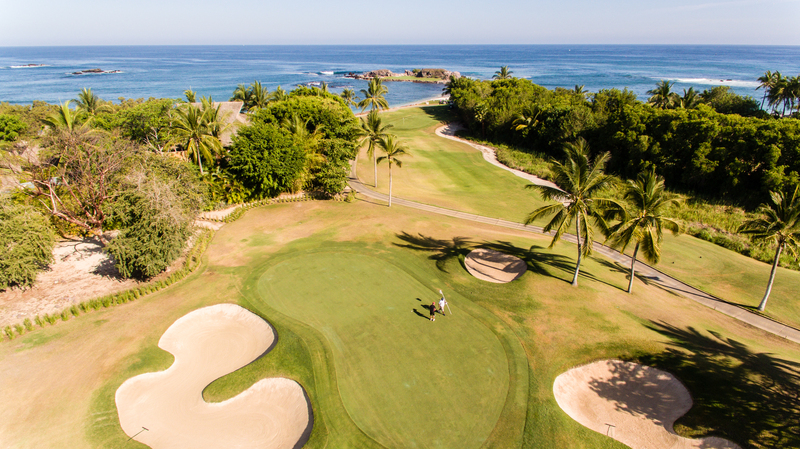 Punta Mita, Mexico, 2018-May-05 — /Travel PR News/ — From April 26th to 29th, masterplan Punta Mita developer DINE, in collaboration with Golf Kitchen Magazine, hosted the first edition of Golf Kitchen Punta Mita, a four-day special event that created a unique experience combining the best of golf with top gastronomic experiences. 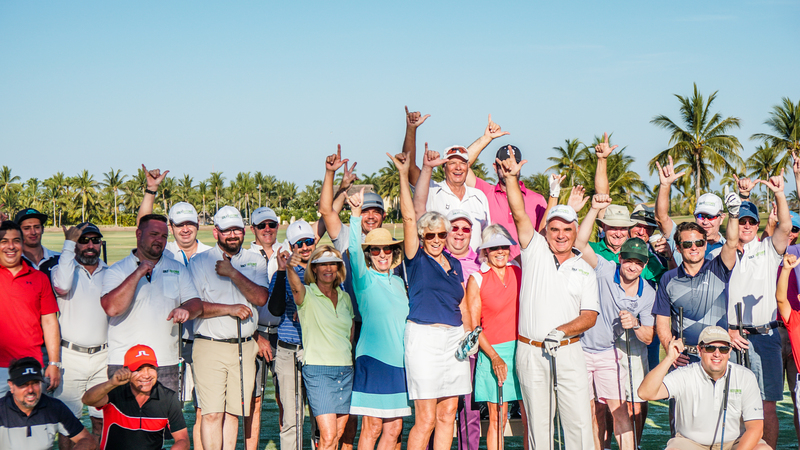 On April 26th, the guest chefs represented their golf clubs at a friendly four–hole tournament to celebrate the correlation between these two industries and kick-off the first Golf Kitchen Punta Mita. Doug Blair, Executive Chef at Cassique at Kiawah Island Club, scored his way to victory. Afterwards, Pato Pérsico alongside Damian Gilchrist, Joseph Klages, Lalo Palazuelos and Chrissie Bennett, hosted an exquisite opening dinner at Punta Mita’s Residents Beach Club. Sufito, the new on-the-water restaurant at Sufi Ocean Club, with Chef Gastón Yelichich, who created a delicious three-course Uruguayan menu. The famous Carolina restaurant at The St. Regis Punta Mita Resort, with Executive Chef Jesús Durón, joined by Doug Blair, created a South-Carolina-meets-Mexico fusion menu. The second and last day of the tournament, participants played at the Pacifico Golf Course, best known for its famous island green, “The Tale of the Whale,” the world’s only natural ocean island green. Congratulationsto: First Place, Dermott and Martina O’Flanagan; Second Place, Juan Carlos and David Rosales; and Third Place, Fernando José Arrangoiz and Eduardo Palazuelos. The tournament ended with lunch at the 18thhole, offered by talented Four Seasons Resort Punta Mita chefs Esther Sánchez and Héctor Leyva with guest chefs Eva Millán and Chrissie Bennett. The closing gala was celebrated at the Kupuri Beach Club, with an innovative concept in which Pato Pérsico, Lalo Palazuelos and Gastón Yelicich, born in Argentina, Mexico and Uruguay respectively, created a gastronomic tour of their countries with traditional dishes to transport diners to a whole new flavor dimension. To wrap up the first edition of Golf Kitchen Punta Mita, Sunday Brunch took place at the unique Kupuri Beach Club, overlooking the gorgeous white sand beach. Well-known chefs Doug Blair, Damian Gilchrist and Joseph Klages offered the perfect mix between sweet and savory to conclude this exceptional event. An enormous thank you to our sponsors Riviera Nayarit Visitors and Convention Bureau, Las Marietas Punta Mita and Pambuck for the unforgettable culinary and sporting experience. Golf Kitchen Punta Mita is the latest addition to Punta Mita’s offerings. This ultra-luxurious destination at Riviera Nayarit proves its expertise in hosting events that create unique experiences in a majestic setting with spectacular views of the Mexican Pacific. We look forward to welcoming you soon. This entry was posted in Beach Holidays, Festivals and Events, Food & Drinks, Golf, Holidays, Hospitality, Hotels, Luxury, News, Resorts, Society, SPAs & Wellness, Sports, Tour Operators, Tourism, Travel, Vacations, Villas and tagged Four Season Punta Mita, golf, Golf Kitchen, Gourmet Event, luxury, Mexico’s Riviera Nayarit, Punta Mita, St Regis Punta Mita. Bookmark the permalink.